Having a salad before dinner is a great way to fill you up so you eat less of the main course, but preparing a salad every night takes so much time that it's tempting to skip out. Ensure you get a bowl of greens every night by making an enormous bowl of salad at the beginning of the week. You're sure to eat a salad with dinner if it's already made — just scoop out a bowl, top with vinaigrette, and enjoy. You know what happens when you eat chips or crackers out of the box — you practically end up polishing off the entire package! Take your favorite healthy snacks such as mixed nuts, popcorn, cheese, and fresh fruit, grab some Ziploc baggies, and make some 100-calorie or 150-calorie snack packs you can keep in your cupboard or in a snack box in your fridge. 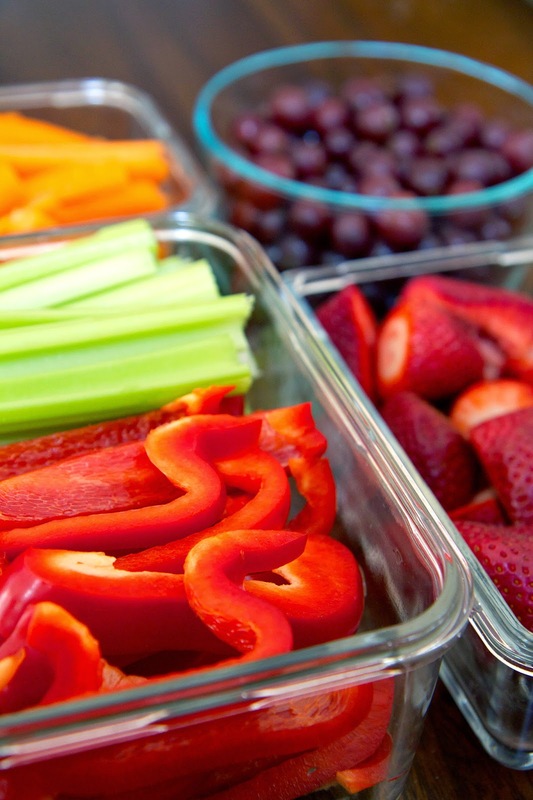 Buy larger bags of fruits and veggies at the store and wash, cut, and store them in baggies in the freezer. You'll not only save money when you buy in bulk, but you'll also have them on hand to add to your smoothies, yogurt, pasta dishes, soups, and omelets. You can also puree veggies and freeze cubes to add to soups, tomato sauce, mashed potatoes, dips, oatmeal, smoothies, or use as a spread on sandwiches. Your hubby and kids might be fans of an occasional can of soda, bowl of cookie dough ice cream, or Hershey's Kiss, but if those foods are within your reach, you're bound to crave them. Throw out or give away the junk, because if it's not in your kitchen, you can't be tempted to eat it.